Photo Booth Express was honored to participate in the Wounded Warrior Project’s Stars and Strikes event held last night at Pinstripes in Northbrook. 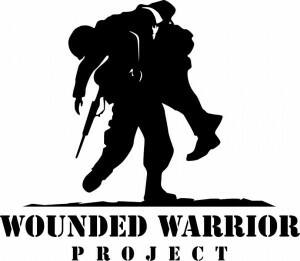 The Wounded Warrior Project is an organization that provides programs and services to severely injured service members during the time between active duty and transition to civilian life. This organization does truly remarkable things for our veterans and we were happy to help them out however we could. The event was a real treat for all of the sports fans in the house as the place was packed with players, coaches and staff from the Chicago Bulls and other Chicago sports teams. Benny the Bull even came out to represent. His antics put a smile on everyone’s face, young and old alike. There were also players and staff from the Chicago Bears and Chicago Blackhawks in attendance. The Warriors and their families got to mingle and have their photos taken with some legendary Chicago sports figures. It was really great to see how the players and coaches interacted with the Warriors and their families and how appreciative they were of everything that the veterans have done for them and this country. Throughout the night the Warriors and their families got to jump in and out of the photo booth and take some great shots with everyone. Some great music was provided by the Bobby K and Steve Duo and the food at Pinstripes was fantastic. After dinner the players, staff, coaches and Warriors had some fun bowling and playing Bocce. This was a fantastic event to honor some incredible individuals and support a great cause. Thanks to all of the sports figures that came out and everyone who donated to the event.